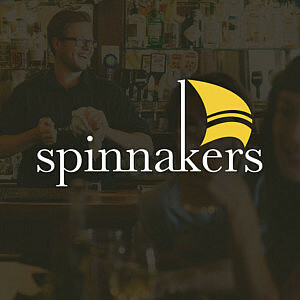 April 10, 2019 Around Spinnakers We’ve all heard it before or are guilty of it ourselves, “I’ll just grab a quick bite on the way”, or “I didn’t have time for breakfast”, but why? As we all know, breakfast is the most important meal of the day, so why don’t we treat it as such. Well, we are here to change that. Dinner shouldn’t get all the respect. No one thinks twice about a long dinner complete with appies, an entrée and dessert, and nor should you. At Spinnakers we want you to enjoy everything the most important meal of the day has to offer. Stop, take your time and enjoy it! A starter with breakfast? We have several appetizer options ranging from sweet and savory candied bacon to a fresh and healthy smoothie. Or the Nordic Board, a Scandinavian breakfast twist on the classic charcuterie platter. Take your time picking over the smoked salmon and hard-boiled egg paired with horseradish and caper cream cheese, pickled onions and grainy mustard all topped off with a delicious house made rye multigrain baguette. For your main course, go lighter with one of our three unique frittatas (options of cheese, chanterelle mushroom or duck confit) all severed with fresh green salad and saffron vinaigrette, or dive into some of our more indulgent breakfast classics. Our hashes are made with fresh house made hollandaise and all the best local ingredients, all topped off with a house made scone. Of course, for the traditionalists, we always have our Fog Fighter breakfast sandwiches and the classic Brewers Breakfast, our take on the full English. Blessed with a sweet tooth? Not to worry, having taken the time to savor your appetizer and your entrée, it’s time to enjoy la dolce vita. Finish off your luxurious morning with a fresh and light granola parfait, or spoil yourself with a fruit crisp made from locally grown Saanich fruits and berries and topped off with house made vanilla ice cream. Of course, let’s not forget the original breakfast treat, a true customer (and staff!) favorite, the Caramel French Toast! House made granola crumble, Cascadia Dark Ale caramel sauce, and Fernwood Coffee espresso whipped cream. Seriously! Breakfast deserves more time and love than we give it. Why not make it a date! Here at Spinnakers we like to do things differently, why have the same ol’ breakfast you can have at home. Enjoy your meal, enjoy some good company and great food. Join us, sit by the window, enjoy the view overlooking the Victoria Harbour, a coffee or caesar and get back to breakfast.